Swisscom Review 2019: Is Swisscom a Good Hosting? Swisscom is a leading telecommunications company that offers web hosting, cloud hosting, and domain registration services to its subscribers. Its servers are housed in a top-of-the-line data center in Switzerland. 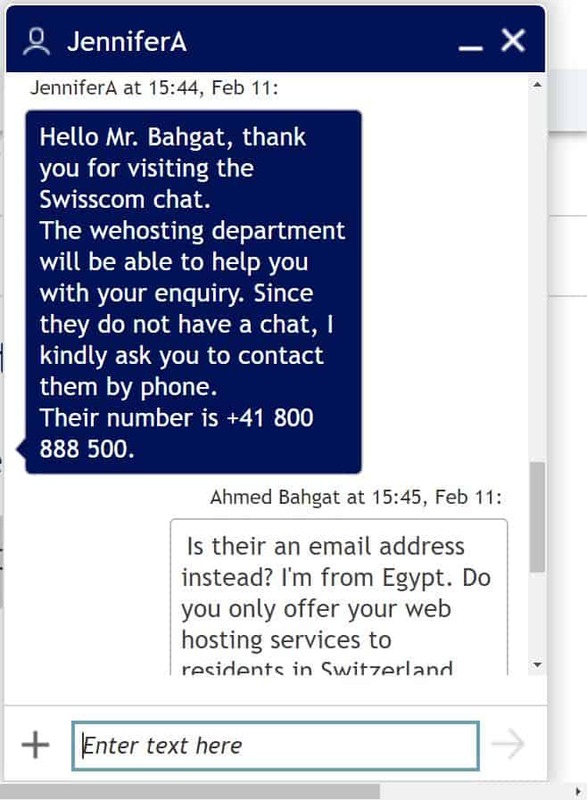 Swisscom’s hosting services are straightforward: it empowers Swiss SMEs with the tools and IT infrastructure to establish their presence online. The company was originally founded in 1852 at the advent of the telegraph. Since then, it’s expanded its services to include a fiber-optic network that stretches all across Switzerland. Its customer base is mostly Swiss, but the company serves Italy as well. 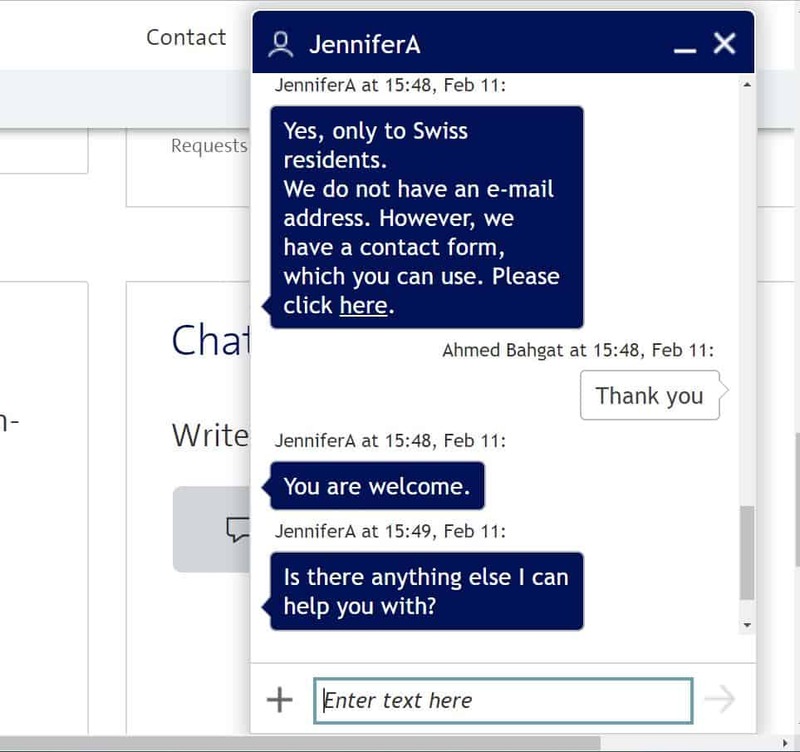 Swisscom’s services and support are available in English, French, German, and Italian. Whether you have a big company that requires a more complex website, or a start-up business looking for a simpler approach, Swisscom offers a decent web hosting solution to meet different needs. The company also offers domain registration, web design, and cloud hosting services, so you can safely leave the setup and management of your website in their capable hands. Swisscom’s web-based drag-and-drop website builder, dubbed the HomepageTool, is a nice touch to help beginners get a website up and running. It includes professionally-designed and industry-specific templates, allowing you to build a website even if you don’t have any coding knowledge. You’ll have the use of an application installer, so you can easily integrate popular CMSes and scripts such as WordPress, Joomla, Drupal, phpBB, and osTicket. Swisscom’s highest-tier plan also comes with a premium SSL certificate you may install on your website. Multiple PHP versions are available within the control panel, and with a cutting-edge DDoS attack prevention feature, your website will be well-protected against the bad guys online. Swisscom offers three different web hosting packages: S, M, and L. All three plans come with the same set of features and mainly differ in disk space as well as the number of email accounts and databases. None of these plans include free domain registration, so be prepared to factor that into your final tally. However, you’ll get free SSL certificates with all plans — and you’ll even have a Premium SSL certificate if you opt for the highest-tier plan. Customer support is 24/7 and is excellent — provided you’re in Switzerland or a neighboring country. It’s easy to get in touch with the support team by calling the Swiss-based customer support hotline. Another way is to submit a support ticket, but this isn’t very useful as you’ll likely receive a reply requesting that you call the hotline for further assistance. There’s a FAQ section, but it’s too generic and may not hold all the answers to your questions. If you’ve got an SME based in Switzerland and want an all-inclusive web hosting provider that will take care of your website design and hosting needs, Swisscom is a good provider to consider. However, there’s still room for improvement in its customer support department. Wondering how Swisscom stacks up against other Web Hosting companies? Enter any other Web Hosting company and we will give you a side-by-side comparison.